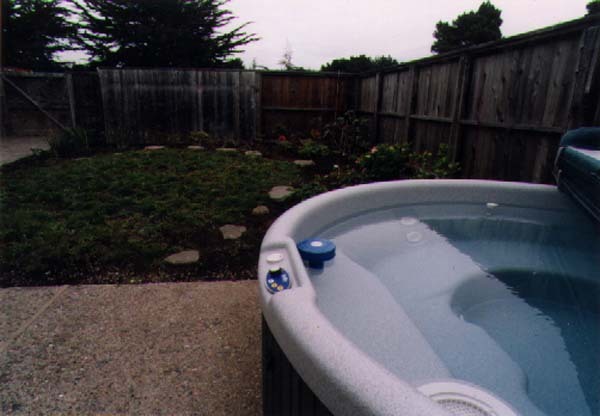 The sizeable courtyard contains a round hot tub; a garden with rhododendrons, azaleas, hydrangeas, etc. ; a paved area; and a seating area. It faces the south and is sheltered from the wind, so it is quite warm, especially in the mornings. Home Copyright 1999 by Webmonger, Inc.